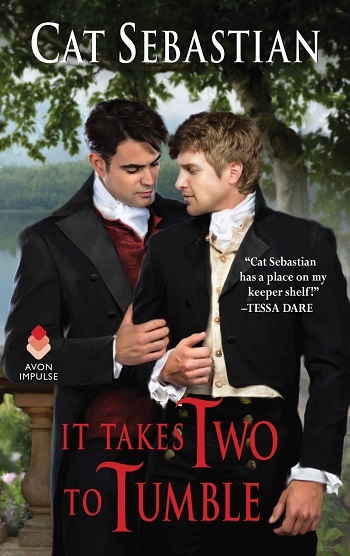 A Gentleman Never Keeps Score is the second installment of the Seducing the Sedgwicks series, but can easily be read as a standalone novel. Hartley is the eldest of his brothers, who bargained his innocence to his godfather to ensure they were properly schooled and taken care of. Hartley harbors a lot of guilt and shame, but surprisingly no resentment toward his father and brothers for putting him into a position that harmed his reputation. Believing his godfather's heir released the shameful truth due to the fact Hartley inherited a house in the will, which caused Hartley to be shunned by his peers, he's turned into a recluse to avoid shame-filled glances and gossip. Being that this is set in an era where Hartley's orientation was a crime, the allegations levied against him were serious and reputation-destroying. Sam is a retired prized-fighter who now runs a tavern with his brother and his brother's girlfriend. The black man struggles with discrimination, and the author gave an easy to digest history lesson, which left me wishing to know more. Both Sam and Hartley have chips on their shoulders, which lends to many miscommuncations, especially with things Hartley says that Sam takes the wrong way. 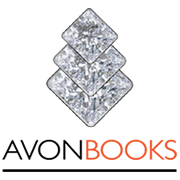 Miscommunication is the angst of the novel. Hartley is suffering with shame and guilt and a feeling of not being worthy. The man doesn't wish to be touched, has been ostracized by his peers, yet somehow Sam always spins Hartley's insecurities to be about him, which I found extremely frustrating. I just hope the author was trying to showcase how we all need to get over ourselves and not make it about us all the time, because you never know what's going on inside someone else's head, but it never ventured into that territory. In fact, Hartley profusely apologized. Repeatedly. Sam kept taking everything he said as insult, when it was about Hartley not Sam, leaving Hartley to apologize to the one with the chip on his shoulder, when the commentary was about the chip on Hartley's shoulder. Not only was Hartley already insecure, feeling inadequacy, now he feels guilt for offering insult when no insult was given. 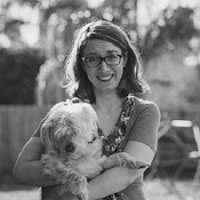 Frankly, Hartley was a ball of guilt, almost suicidal, so Sam's behavior actually made me dislike him when that wasn't what the author intended. As I said, frustrating. There was a symmetry to Hartley and Sam, suffering differing types of discrimination, coming together in a balance. Both men are givers, trying to do good deeds to make up for past misdeeds. Sam easily gives what he has extra to those in need, while Hartley has taken it upon himself to employ those who understand what it's like to be seen as lesser. While I loved the levity, banter, and heat shared by the couple, and felt a real evolution toward friendship and a relationship, I felt as if Hartley's emotional issues were never explored, with support offered. Sam understood on a physical level but not on the emotional. The reader never does learn why Hartley doesn't wish to be touched, other than to assume it stems from the godfather. Without this fully explained and explored within the relationship and individually, writing it off as if loving and trusting Sam is the antidote, the bridge to the romantic connection didn't work for me. The side cast of characters offered a plethora of emotions and varying situations that kept me glued to the pages. I have to admit, their stories interested me more so than Sam and Hartley. I feel bad stating this, but there was a pull to know more about Alf and Sadie from the moment they stepped onto the pages. An enjoyable second installment, fitting well into the series lineup, but I wasn't as hooked or emotionally invested as I was with the first installment, taking me nearly a week to read this short novel. For reviews & more info, check out our stop on the It Takes Two to Tumble Blog Tour. 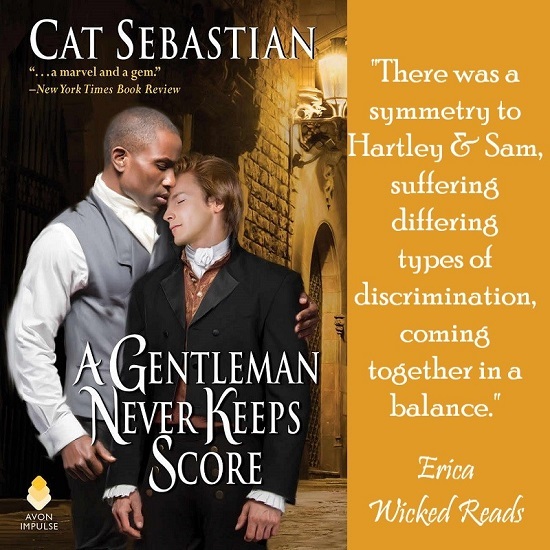 Reviewers on the Wicked Reads Review Team were provided a free copy of A Gentleman Never Keeps Score (Seducing the Sedgwicks #2) by Cat Sebastian to read and review.